This African-themed hangout is a West Side institution, and boasts some of the region's most eclectic and forward-thinking DJs. With KCRW kingpin Jason Bentley taking early retirement from the decks, a new generation of soul, indie-hip hop and world-beat spinners has taken over, spinning for a well-heeled, international crowd. 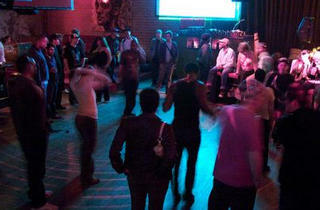 Groove on the small dancefloor, order a Chimay at the bar or grab a pillow and relax on the benches at the back. 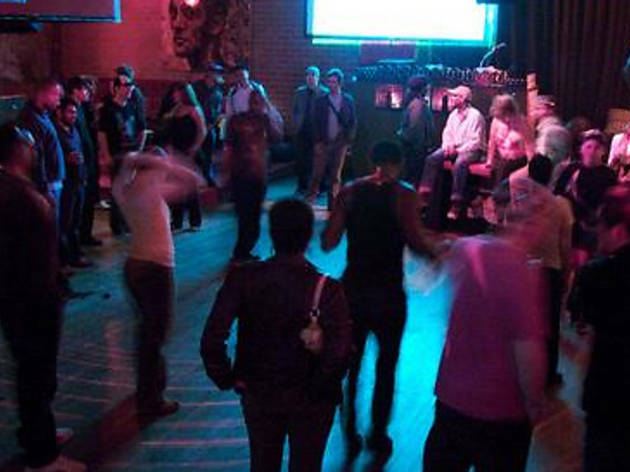 2 DJ's, Live Salsa Band and dancing until 2am. 5 star all around some of the best music and Salsa dancing on the westside! This place starts to get crowded around 10:30 on, although people do trickle in beforehand to waive the cover charge. When they talk about playing old school hip-hop & R&B, they mean really old school, like early 90’s vs late 90’s (although there is a good mix of Aaliyah, TLC, Big Pun, etc). The bartenders are pretty speedy. Seems to be a good mix of people. Definitely casual and NOT fancy as far as the dress code, if you’re a chick you can get away with coming in anything really. I saw a lot of boots and shorts. There are definitely better clubs out there, but as far as convenience goes (parking, etc), this one isn’t bad.